Carnevas is located in the unspoilt countryside that borders the beautiful north Cornish coastline. Surrounding us is a wealth of opportunities for enjoyment – breath taking cliff walks, a working farm, golf, surfing beaches, sandy family beaches historic houses, a wide range of natural history, and of course, the legends of Cornwall. Over recent years the Brewer family have developed the park to an award-winning standard and provided a range of well-kept facilities to make your holiday relaxed and enjoyable. The laundry is comprehensively equipped, the shop is very well stocked and the play equipment is sure to be popular with the children. 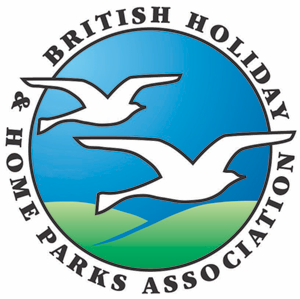 Whether you are searching for a farm cottage, a high standard holiday chalet, and a luxury holiday home to hire or a choice of excellent pitches for your caravan or tent we believe we can provide what is needed to make your holiday a happy one. The shop stocks daily newspapers, milk, bread, off licence and other essentials. We also supply gas, camping accessories, beach goods, toys, etc. There is a friendly meeting place with a well-stocked bar, excellent bar meals and occasional entertainment. Unspoilt beaches are here to be enjoyed both when the sun encourages beach activities, or early and late for those bracing walks. Coastal footpaths can be explored all year round, special bike trails, such as the Camel Trail for the more energetic. Family run park situated on north Cornish coast. Golden sandy beach 0.5 mile. Excellent facilities, cleanliness ensured. From St. Merryn take B3276 towards Porthcothan Bay, just before beach turn right towards Treyarnon Bay opposite Tredrea Inn.